Excerpts from Sato Masaki and Kudo Haruka's interview of Nakajima Saki in the 13th instalment of their serialisation 'Maachan Kuduu no HaroPuro Senpai Tanboudan' from the magazine 'Top Yell'. 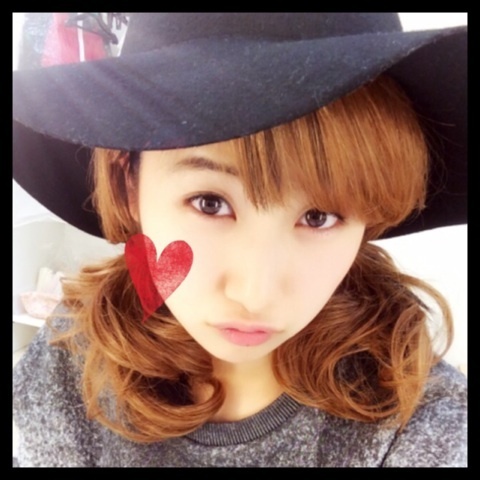 Sato: Nakajima-san, wasn't there a time when you coloured your hair brown? Aren't you going to go back to brown? Nakajima: I tried out having it brown for about 2 months. But it seemed that I went over the line (laughs). Among the fans, there are a lot of them who prefer the pure type. When I dyed my hair brown for a while, they went like 'Ah, is that what you’re going for?'. For me, that was pretty scary. Fundamentally, I'm a timid person (lol). Besides, since it fits me, I definitely ended up settling with black. Sato: Eh~, is that so? Nakajima: That's right. Maachan, you want to dye your hair brown, right? Sato: Masa wants to have brown hair. Once I'm out of middle school 3rd year, I think I'd like to immediately dye it. Sato: Um...... Nakajima-san, what's your favourite tree? Kudo: For this serialisation, ever since we started with Mano-san, the favourite tree question has become a standard question that definitely gets asked (bitter smile). Nakajima: Seriously? Eh~ tree.... I wonder...... It's not exactly my favourite, but for each of the 3 sisters in the Nakajima household, on the occasion of each of our births, a new tree would be planted. Nakajima: For my older sister, I remember it being a peach tree. My younger sister was definitely an angsana...... What was it for me!? A plum tree, maybe. Eh? It might have been the angsana for me. Nakajima: I'll confirm it later (laughs). Nakajima: How wonderful! In a good way, it became your motivation. Kudo: That's right. It motivated us, and there was this huge feeling that there was a hole that needed to be filled when Tanaka-san graduated. The singing parts were divided amongst everyone, but it felt like Oda-chan had become the core of the parts that Tanaka-san brought out, filling that hole. That was frustrating.